The Upside (film, 2017). A 2017 American comedy-drama film with "PG-13" rating by STX Films/Lantern Entertainment/STX Entertainment. Directed by Neil Burger. Official Trailer. 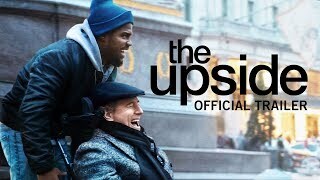 The Upside is a 2017 American comedy-drama film directed by Neil Burger. The Upside | Official Trailer | Now In Theaters. Speeding through New York City in a Ferrari, Dell Scott (Kevin Hart) and Philip Lacasse (Bryan Cranston) are pulled over by the police. Dell convinces the officers that he is rushing Philip to the emergency room; Philip grudgingly plays along, and the two are escorted to the hospital. Six months earlier, the recently paroled Dell is ordered to obtain signatures to prove he is seeking a job. He visits various workplaces, including the penthouse home of Philip, a wealthy quadriplegic. Philip, with his assistant Yvonne Pendleton (Nicole Kidman), is interviewing candidates for the position of his "life auxiliary" caregiver. Dell barges in and demands a signature for his parole officer. Intrigued, Philip offers him the job, but Dell declines. Dell visits his ex-wife Latrice (Aja Naomi King) and son Anthony (Jahi Di'Allo Winston) at their dilapidated apartment, but neither is interested in Dell rejoining their lives. He gives Anthony a book stolen from Philip's library. Desperate to turn his life around, Dell accepts the well-paying position of Philip's live-in caregiver, for which Yvonne establishes a "three strikes" rule. Dell is daunted by his new responsibilities, despite guidance from Philip's physical therapist Maggie (Golshifteh Farahani), and balks at changing Philip's catheter, earning "strike one" from Yvonne. Dell learns the book he stole was a gift to Philip from his late wife. Dell informs Latrice of his new job and gives her his first paycheck; he asks for the book, but she tells him to do his own dirty work. Yvonne summons Dell back to Philip's home and declares his absence "strike three," but Philip covers for Dell. Principal photography began on January 27, 2017 in Philadelphia. 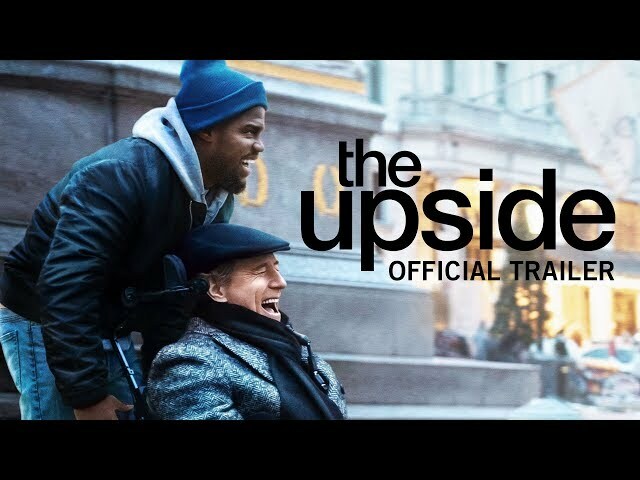 The film The Upside was scheduled to be released by STX Films, Lantern Entertainment and STX Entertainment on September 8, 2017 (TIFF), on September 8, 2018 (TIFF), on January 11, 2019 (United States) and on February 21, 2019 (Germany). The duration of the film is 126 minutes. With a budget of $37.5 million, the film grossed over $121.1 million. The Upside got average rating from critics. But the audience likes the film. Audiences polled by CinemaScore gave the film an average grade of "A" on a scale ranging from A+ to F.